This is for a bulk lot of 48 medium distressed lanterns. 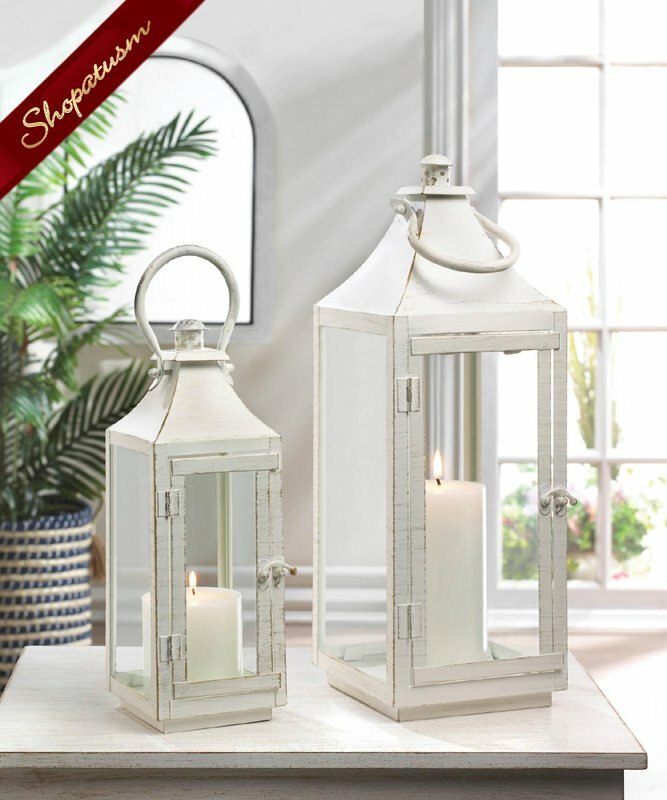 Place a flameless candle inside the lantern and hang it under a covered patio or on top of your console table for a charming candlelight display. . Iron and glass. The decorative lantern is made with an iron frame and glass window panes and suitable for both indoor and outdoor settings. Measurements: 4.25" x 4.5" x 12" high. Weight: 2 pounds. Large lantern sold separately.